Restricting migration is a priority for the Dutch government and the EU. The walls of Fortress Europe are rising taller, rescue missions by aid organisations are counteracted, and refugees are locked up and deported. Thousands of people die in the Mediterranean Sea or in the desert, or they are stuck in horrible conditions. Politicians instigate hate against refuguees, while weapons-companies are in the mean time making big money on militarising borders. Rich Western countries keep fueling the reasons why people flee through unequal trade, weapon exports, causing climate change, and military interventions. Reason enough to take action. 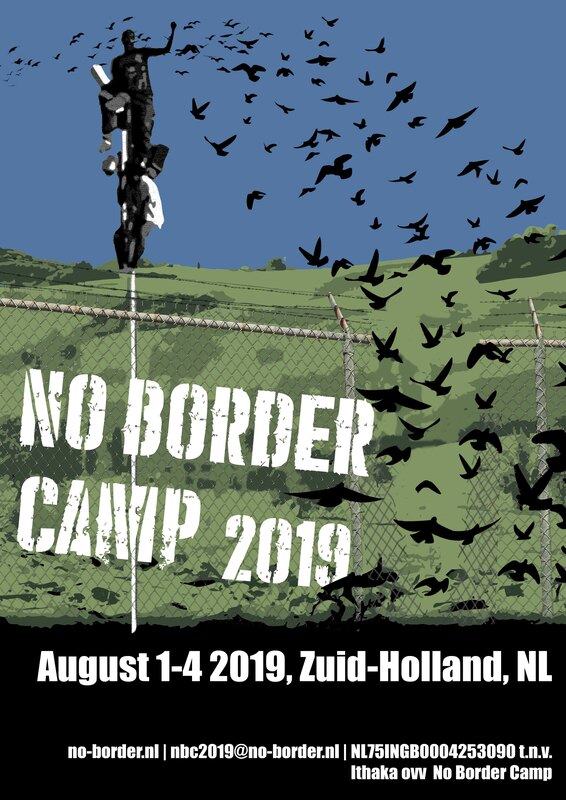 Come to the No Border Camp in the beginning of August, for workshops, meeting people and actions on a extraparliamentary and anti-authoritarian basis. To build bridges to other intersections of struggle, like anti-racism, decolonisation, queer- and trans struggle, climate action, anti-militarisation, and the struggle of migrants themselves for their rights. This is the group page for the No Border Network in the Netherlands. This network is a gathering of people and groups who want to act to change the migration policy in the Netherlands and Europe.